This customer requested a gift for their dojo. 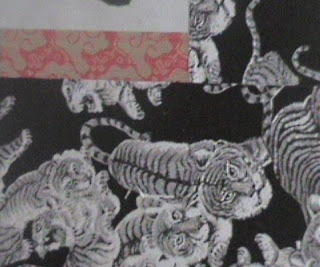 The cloth selected is very appropriate considering this is the year of the Tiger according to the Chinese Zodiac. 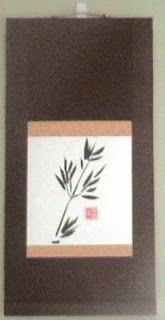 This is a Maru Hyougu style scroll that is written in the Kaisho (Block Print) style by Ryugyoku. I decided to use a red accent Ichimonji (brocade) in order to provide depth of color to the black and white in the cloth. The writing in the middle are for the principles students must strive for as stressed by this dojo. 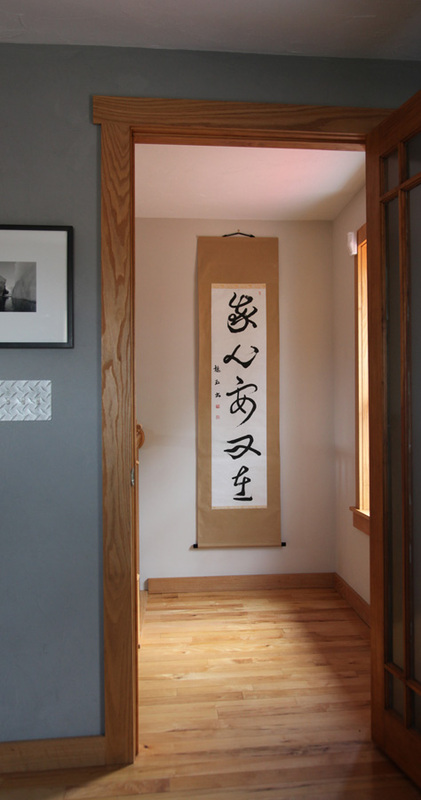 The scroll has a black Kakehimo which is good for blending into the cloth color of the scroll. I really enjoyed making this scroll and feel that it turned out really well. 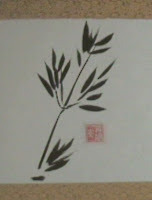 This sumie scroll of leaves is available for sale. 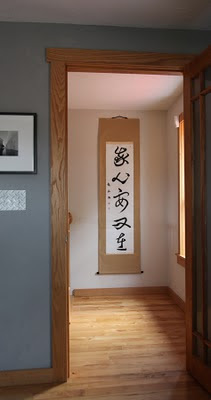 Please email to sales@customjapanesecalligraphy.com for details. 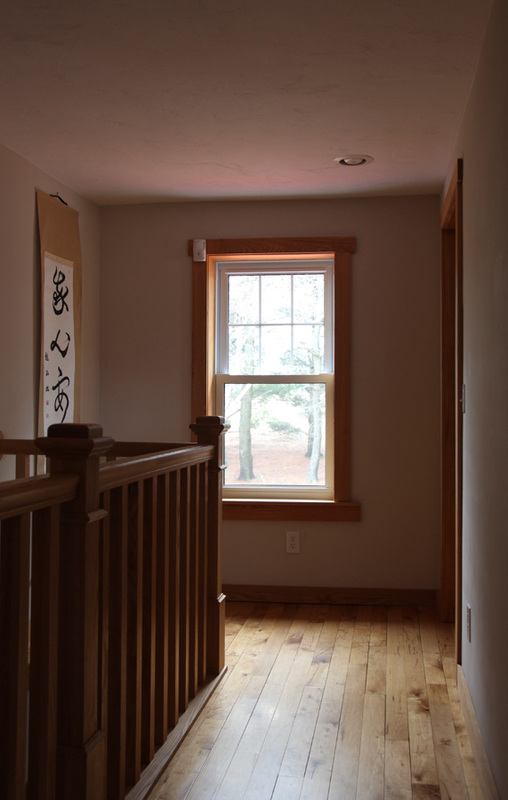 This scroll turned out beautifully for a springtime or summertime based kakejiku. It was painted by Ren Adams. The strong brush strokes reminded me of power, and so a dark brown cloth was used to really accent the picture. 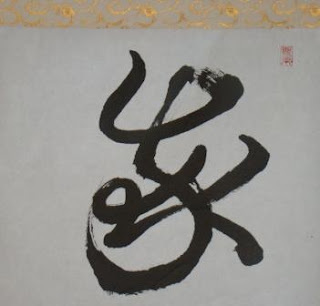 This is a small scroll, and Jikusaki were not used. (Truth be told, I did not have any in inventory...) However, it is still a beautiful scroll for any springtime display. 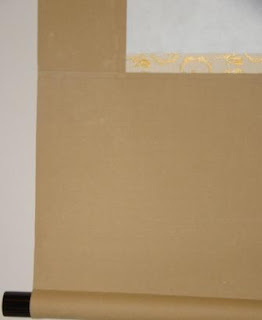 The green of the Ichimonji (brocade) also gives the viewer a sense of the greenery in spring and summer.